To apply the Hybrid and beat roulette covertly, at least 2 operators are required for the older versions, although the V3 requires only one operator. Exact details of its operation procedures are not disclosed except to of course actual operators. However the following information will give you an overall idea of what is required. The computer automatically tracks the location of the wheel, so there is no need to aim any camera. The computer and camera cannot be seen by casino staff. After 5 – 15 spins on most wheels, the computer learns the behavior of the wheel and ball. This is necesarry to achieve accurate predictions. 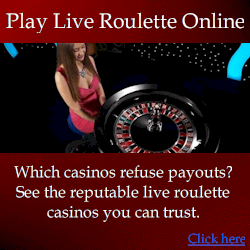 Now the operator only needs to click a button once when the roulette ball is released by the croupier. The computer begins tracking the movement of the wheel itself, the green zero, and the ball. It uses the obtained data to predict where the ball will land. The predicted number is relayed to up to 4 different bettors at the table, who hear the prediction in an invisible wireless earpiece in their ear canal. The betters win far more times than they lose.